By December 1914 soldiers on both sides had settled into the routine life of living in the trenches of Northern France. 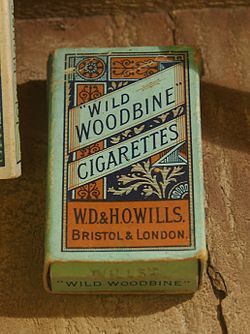 Between battles there would be periods of quiet and trenches were often close enough that the soldiers began to banter and barter for items such as cigarettes. One such soldier was Harry Bloom, the son of Charles and Jenny Bloom of 18 Checker Street. At seventeen he Joined the Militia and transferred to the Regular Army in 1906 for service in the Norfolk Regiment. He served in South Africa and India prior to the war. 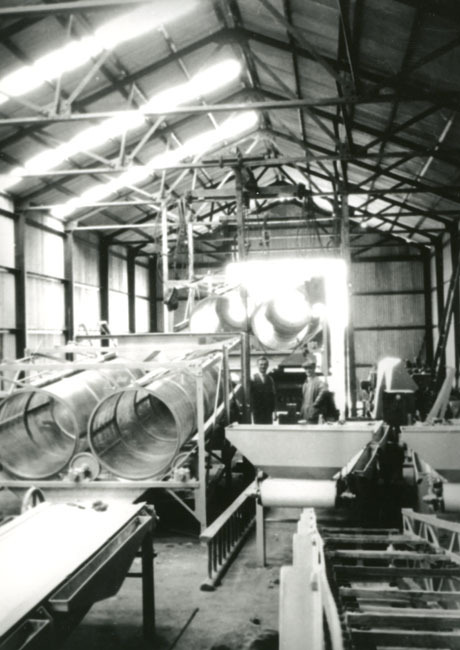 In 1913 he joined the Army Reserve and worked at Cooper Roller Bearings which became a munitions factory during the war. He married a woman called Jeannie and they lived at 11 Edwards Yard off Providence Street. We’re very pleased to welcome author and historian Steve Smith back to the Millennium Library in Norwich for another of his fascinating, and moving, talks about the Norfolk Regiment’s involvement in World War One. 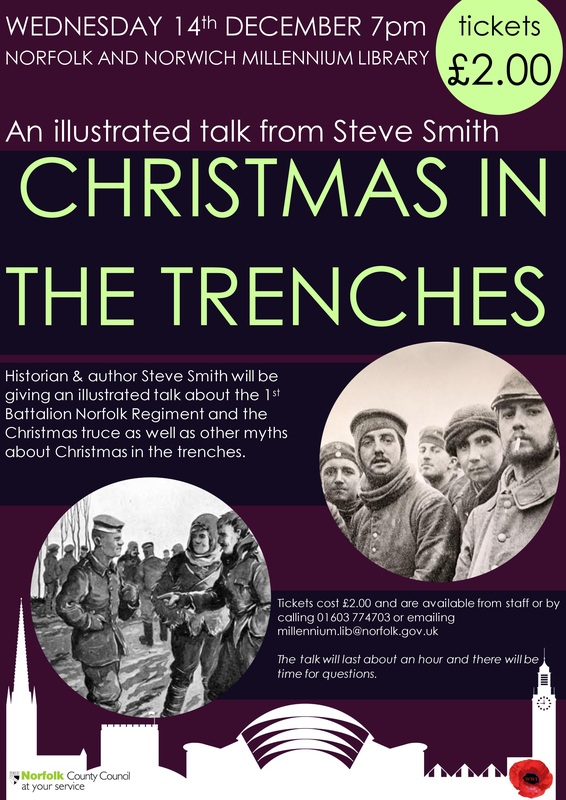 This talk will have a seasonal theme as Steve will talk about the 1st Battalion Norfolk Regiment and the Christmas Truce. Other Christmas myths surrounding World War One will also be looked at. Did the Christmas Truce really happen or is it a myth? Here are some articles about it so you can make your mind up.